Singapore’s smorgasbord of cuisines reflect our nation’s racial and religious diversity. 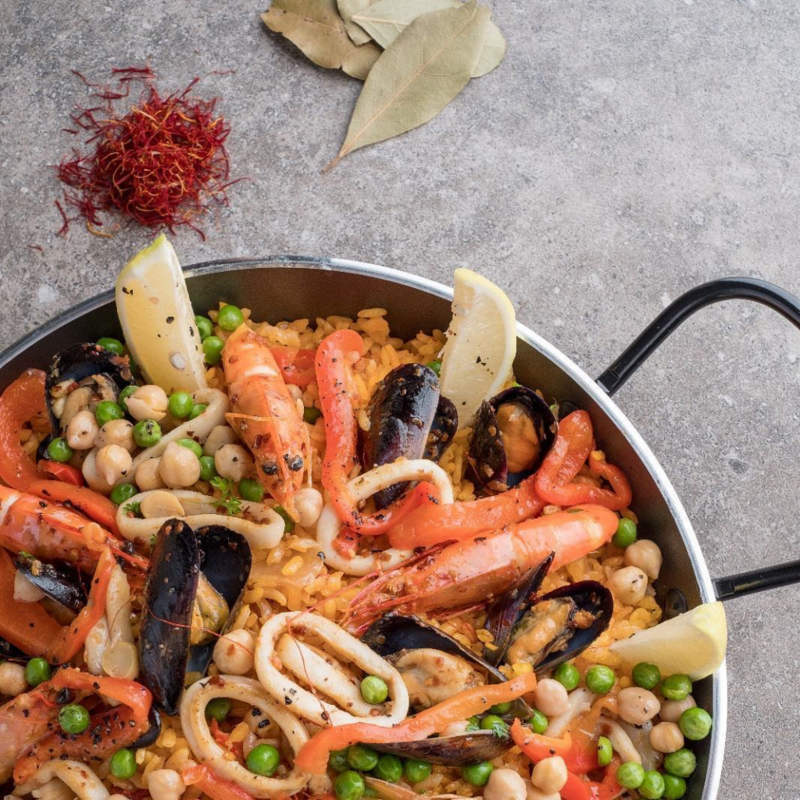 It’s as easy for one to find a fancy restaurant serving European creations, as it is to find a joint that serves traditional Malay grub. Plus, a large number of these restaurants are halal-certified, making them accessible to everyone. 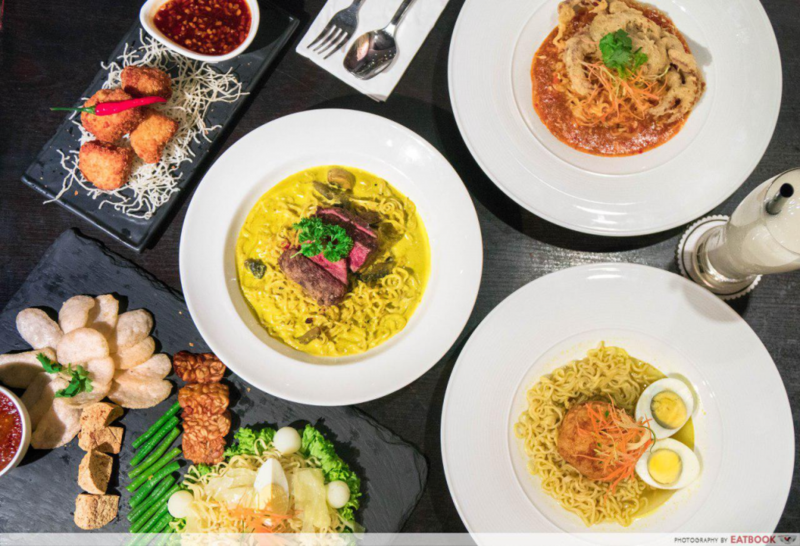 If you’re having difficulty narrowing down where to eat at, Chope Deals offers an extensive list of halal restaurants boasting scrumptious food for you to pick from. You don’t have to spend a bomb at these places too, thanks to Chope’s slew of buffet deals and off-peak deal vouchers! The Halia at Singapore Botanic Gardens is my go-to spot if I’m looking for a scenic place to unwind at. The food there is stellar too, with scrummy items like the Halia Chilli Crab Spaghettini ($26++). “Halia” means ginger in Malay, explaining why they have plenty of ginger-centric dishes, such as The Ginger Garden ($14++). The interesting dessert features orange blossom vanilla mousse, galangal, poached apples, blood orange coulis and ginger flower sorbet. Dining here doesn’t have to be a pricey affair, thanks to Chope Deals’ 50% off cash vouchers! The only catch is that these vouchers can only be used during the stipulated time. But that’s not really an issue, especially if you, like me, eat your dinner past 8pm. Situated at Woodlands Swimming Complex, Citrus by the Pool is a great place to refuel at after your swim. 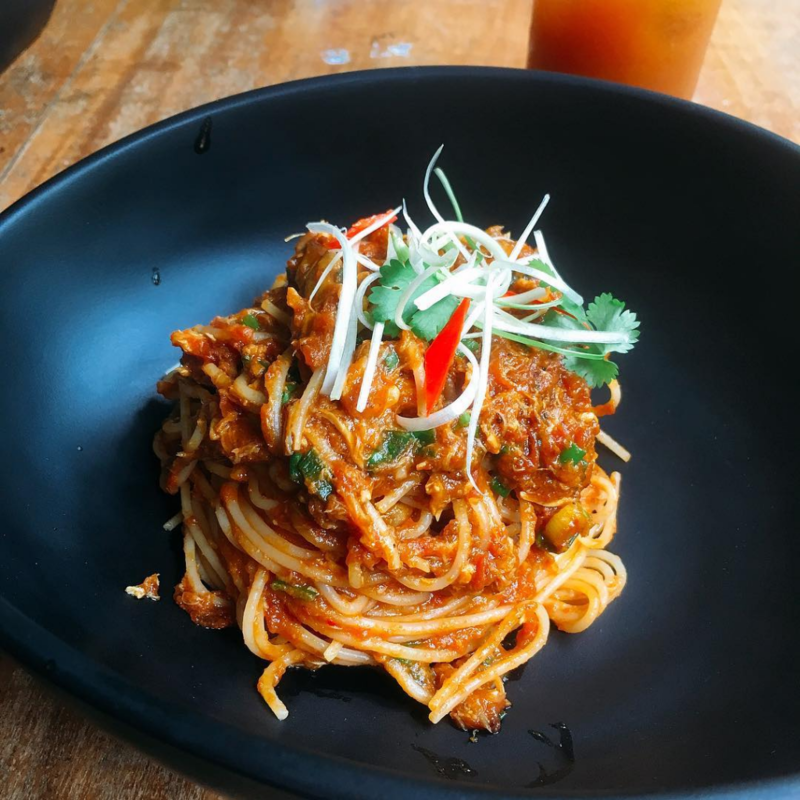 Showcasing a selection of Western and Asian fusion grub, you will find items such as Tom Yum Seafood Pasta ($13.90+) and Salted Egg Seafood Pasta ($13.90+) here. 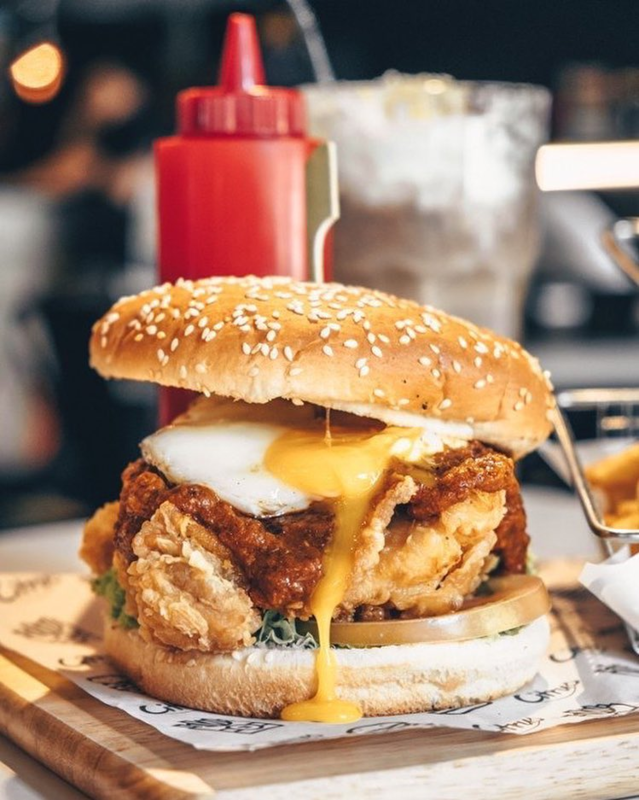 Those with a humongous appetite can opt for their Shiok Burger ($12.90+), which comes with a crispy deep-fried chicken thigh and egg, doused in a tantalising chilli crab sauce. For a low-budget meal, be sure to clinch Chope Deals’ off-peak vouchers at 50% off before dining here. Citrus by the Pool is a halal-certified restaurant. The last time we were at Rumah Rasa, we had the pleasure of trying their limited-time Indomie creations. 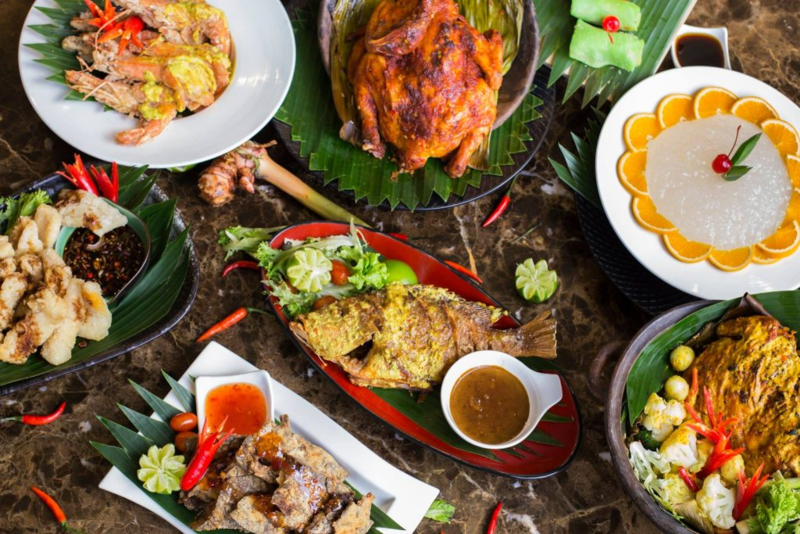 Known for rolling out intriguing dishes and themed dinners, this Indonesian restaurant never fails to impress us. Growing their own herbs, the restaurant’s Rendang Sapi (Beef Rendang) ($12.90++) is extremely flavourful. Really value-for-money is their dinner buffet with live BBQ ($48++) on Fridays and Saturdays, as well as their weekend lunch buffet ($38++). 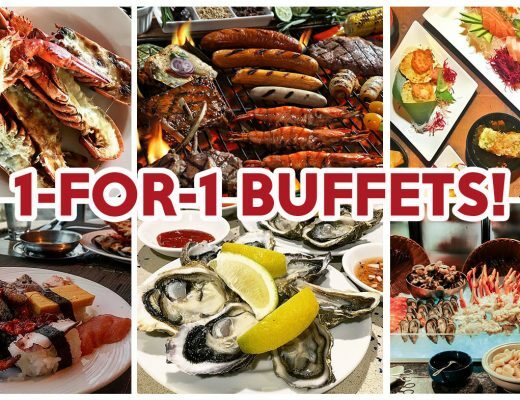 Giving you more bang for your buck is Chope’s Buffet-licious deal, which lets you score 40% off the buffet! If you rather order their a la carte dishes, you can enjoy 35% off using Chope Deals’ off-peak cash vouchers. Rumah Rasa is a halal-certified restaurant. Around since 1985, Kintamani Indonesian Restaurant’s halal-certified buffet is popular among my Muslim friends and family members. Rolling out both traditional Balinese cuisine and contemporary Indonesian dishes, diners can look forward to dishes such as oxtail soup, deep-fried buttered prawn tossed with egg and curry leaf, as well as satay. Durian lovers are in for a treat when they hit the dessert lineup, as the restaurant offers a pleasantly pungent durian pengat! It also serves a la carte dishes including a finger-lickin’ good Iga Daging Sapi Bakar (Grilled Beef Ribs) ($32++). 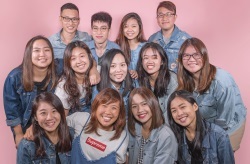 Buffet-goers can rejoice in getting 55% off when they book and pre-purchase vouchers for the buffet through Chope, while diners ordering single dishes can take advantage of Chope Deals’ 10% off cash vouchers. Kintamani Indonesian Restaurant is a halal-certified restaurant. Tucked away in the industrial area of Tai Seng, Flame Cafe offers a Cheesy Hotpot and BBQ Pagoda Steamboat buffet (from $19.90+). 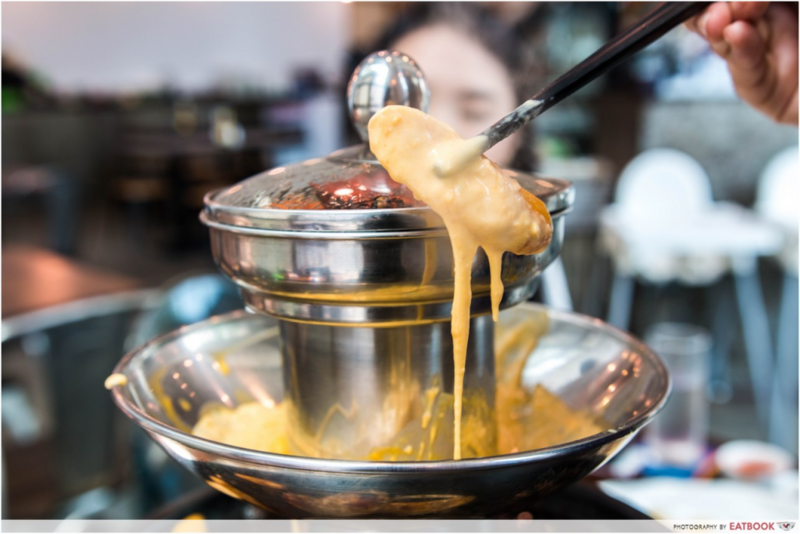 The four-tiered setup features a pot of soup, a tray of melted cheese, a buttered pan, and a steamer at the top. The ingredients are of good quality, and you can expect items such as five-spiced chicken, sliced lamb and half-shell scallops. If you’re not a big eater, you can also opt to just order ingredients off the menu instead. Make your meal an even cheaper one and score 20% off their dinner buffet when you use Chope! If you’re skipping the buffet and going a la carte, their cash vouchers will give you 10% off. A belly full of good eats is always certain when you visit 21 On Rajah. Here, you can find scrumptious dishes such as Nasi Goreng Istimewa ($12.90++) and Beef Cheek Rendang ($21++) with rice. The former presents an array of ingredients including chicken drumlets, satay, pickled vegetables, fried egg and prawn crackers. If you’re hankering for Western grub, they also serve items like Pasta Bolognese ($15.90++) and Pan-Seared Sea bass ($19.90++). Make your reservation on Chope and pre-purchase Chope Deals’ vouchers for 10% off when you dine here. 21 on Rajah is a halal-certified restaurant. I grew up celebrating the end of exams with a feast at Seoul Garden. Featuring over 130 items, the Korean steamboat and grill buffet (from $17.99++) is great if you love variety. Pile your plates high with their marinated meats such as Bulgogi Lamb Shoulder and Spicy Bulgogi chicken. 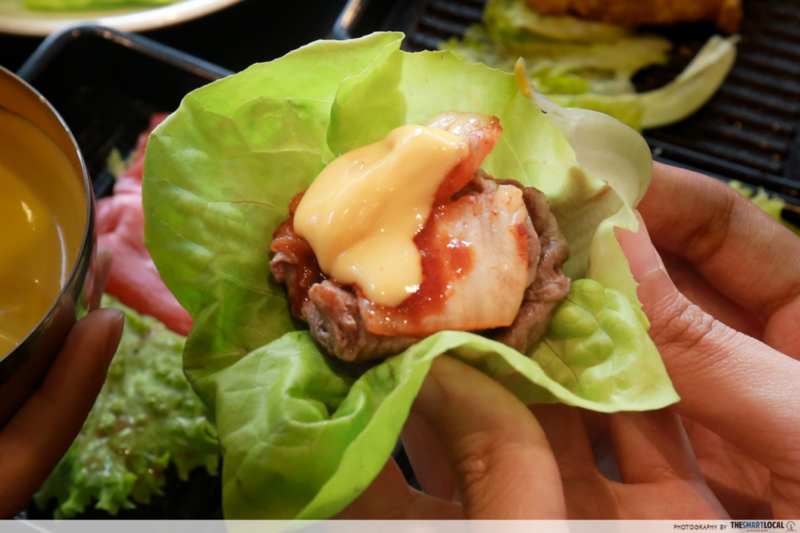 Be sure to grab some lettuce too, and make your own Korean ssambap (lettuce wrap)! The spread comprises ready-to-eat dishes for you to munch on as well, while you wait for your food to cook. When it comes to saving money, every little bit counts; secure 10% off and order Chope Deals’ cash vouchers before you swing by! Seoul Garden is a chain of halal-certified restaurants. More than just a reservation app, Chope offers a slew of irresistible dining lobangs that will make even the most price-conscious diners excited to eat out. Come prepared and pre-purchase their off-peak deal vouchers to enjoy a huge discount off your total bill during selected timings. 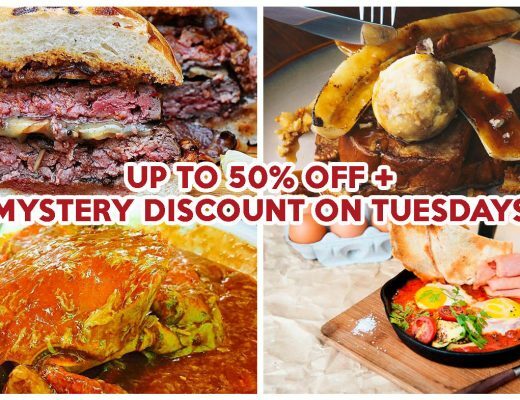 With over 350 restaurants offering up to 50% off cash vouchers, you will definitely find a place that will satiate any cravings you have. 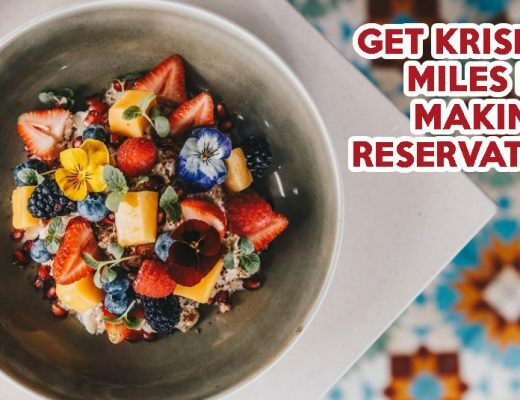 On top of their cash vouchers, they also offer 1-for-1 buffet deals at swish restaurants including Triple Three Restaurant at Mandarin Orchard Singapore and Seasonal Tastes at The Westin Singapore! Check out the full list of dining deals on Chope! Featured image adapted from Instagram user @thehalaleater‘s post.